Tom Coyne is the author of the novel A Gentleman’s Game, which was named one of the best 25 sports books of all time by The Philadelphia Daily News. He wrote the film adaptation of the novel, which starred Gary Sinise, Philip Baker Hall, Dylan Baker, and Mason Gamble. His second book, Paper Tiger: An Obsessed Golfer’s Quest to Play with the Pros was released June 2006, and was an editor’s pick in Esquire Magazine and USA Today, and a summer reading selection in The New York Times. 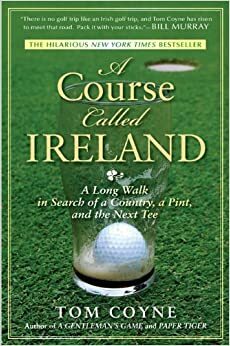 His third book, A Course Called Ireland: A Long Walk in Search of a Country, a Pint, and the Next Tee, was published by Gotham Books in February, 2009, and it chronicles his quest to walk and golf the whole of Ireland. The book was a New York Times, American Booksellers Association, and Barnes & Noble bestseller, and won a silver medal from the Society of American Travel Writers in the category of Best Travel Book of the Year. His highly anticipated follow-up to A Course Called Ireland will be released by Simon & Schuster in 2016. A Course Called the Kingdom will follow Tom’s golf adventure through the UK as he plays every British Open venue, searching the highlands of Scotland for the secret to golf and a tee time in the oldest championship in sports. 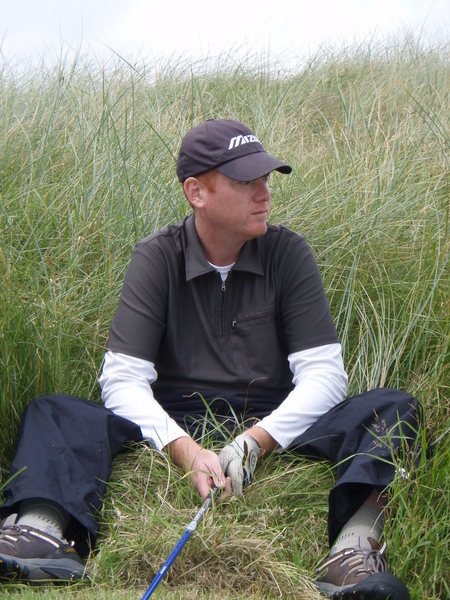 Tom has written for Golf Magazine, Golfweek, Sports Illustrated, and numerous other publications. He also writes and hosts episodes of the travel television series, “Golfing the World” (Comcast Sportsnet). He earned an M.F.A. in fiction writing from the University of Notre Dame, where he won the William Mitchell Award for distinguished achievement. Tom lives in Philadelphia with his wife and two daughters, and he is an assistant professor of English at St. Joseph’s University.